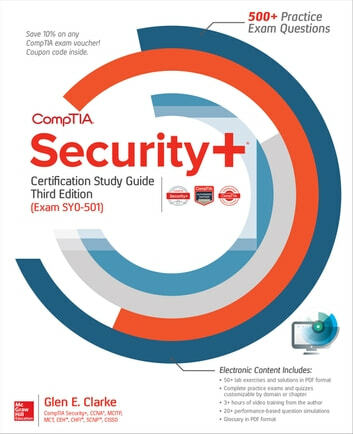 Thoroughly revised to cover every objective on the latest version of the CompTIA Security+ exam (SY0-501), this powerful self-study resource offers more than 400 questions that accurately mirror those on the actual test. Authored by training and certification expert, Glen Clarke, the book provides in-depth explanations for both correct and incorrect answer choices. 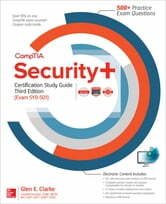 CompTIA Security+ Certification Study Guide, Third Edition, offers three complete practice exams—one pre-assessment test and two final exams—intended to measure progress and prepare for the live test. Within the customizable test engine, questions may be organized by chapter and exam domain, allowing readers to focus on specific topics and tailor a highly effective course of study.